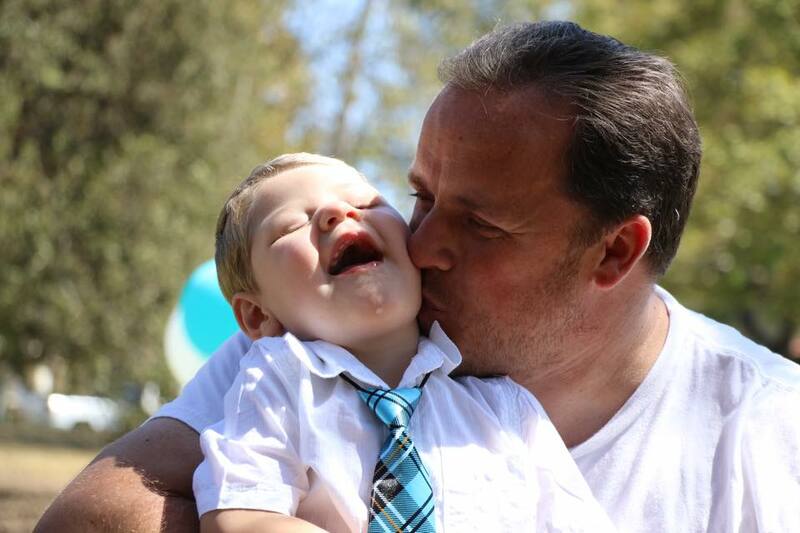 In an instant the life of our son, Calin Reed Samora was irrevocably changed. Calin was born at 6:05 am on July 6, 2013, a healthy 7.0 lbs. and 19″ long. He was a perfect, beautiful, bouncy baby boy with blue eyes and light blond hair. 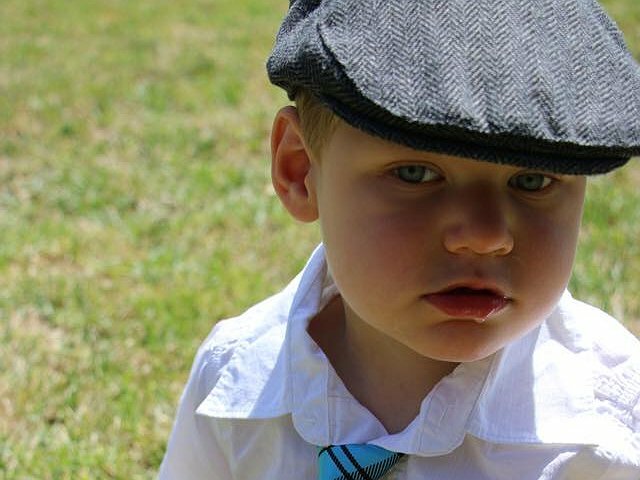 Three months later, everything changed when little Calin’s caregiver shook him. He now suffers from brain damage, vision loss, seizures and many other physical and mental disabilities. Calin is on medications for seizures and receives physical, occupational, vision and child development therapy every week. The brain tissue that was damaged has turned into liquid cysts and may require surgery in the future. The doctors cannot give us any indication of his future abilities or limitations, including his physical and mental capacities. They have told us that we will have to wait and see. Even with insurance there are many medical expenses that are not covered and must be paid out of pocket. Some of these are very expensive such as the hyperbaric treatments that he is currently receiving and he will need a stem cell transplant in the future. In addition we have travel and lodging expenses at the time of treatment, medications, co-pays, and deductibles. This puts us up against a challenge we cannot meet alone and desperately need your help. To help with the financial burden of Calin’s uninsured expenses, a fundraising campaign in his honor has been established with HelpHOPELive, a trusted nonprofit organization that has been providing community-based fundraising guidance to patients and their families for more than 30 years. All donations are tax deductible, are held by HelpHOPELive in the Traumatic Brain Injury Fund, and are administered by HelpHOPELive for injury-related expenses only. Please consider making a contribution. Be sure to check this page often because we will be planning some fundraising events soon and posting updates regularly. If you’d like to volunteer to help, please contact Calin’s aunt, Joy Reed at [email protected] or 805-485-8022. On behalf of Calin, ourselves and our family, thank you for your kindness, support, generosity and prayers. God Bless!! The pre trial concluded on Friday. The judge found that there was enough evidence to move to trial. We are so relieved that we are one step closer to getting Cal justice. The next court date is scheduled for October 25th. Thank you for everyone’s support. The court case for the pre trial started yesterday. It continues today. We are so happy to have friends and family there to support us. We just hope to have justice prevail. Many news stations have done reports. CBS 7 news channel 2 and channel 9. Channel 7 news will be doing a piece on Calin and the court case tomorrow evening and will be in the court room on Wenesday. Please watch for their news piece and share with friends. Calin turned 2 this year. He is getting so tall. He wears 3/4 T clothes. He was meant to be a football player with his height. He is now able to sit up by himself. We still have to put pillows around him because when he has seizures he falls. He has on a good day about 20 seizures a day and on a bad day about 100 seizures a day. He is not able to walk because he does not want to keep weight on his left leg. His left side of his body is weak from being shaken and the stroke that it caused. He is making more noises but he is not able to talk. Some nights he can be heard babling for hours. There are times he gets his days and nights confused. He is blind and does not have visual cues to know when he should be awake and when it is night and time to sleep. His blond hair and beautiful blue eyes just melt your heart when you see him. We will never understand why someone would hurt a innocent 3 month old baby they way that she did. Read about our upcoming fundraiser to help with Calin’s many out of pocket medical expenses.